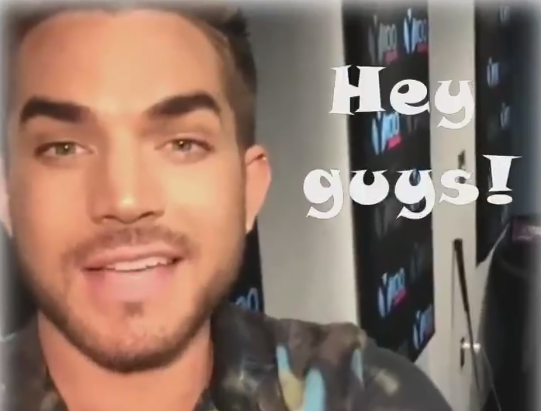 Adam Lambert Pokes Fun at His Biggest Target – Himself!! You are here: Home / Uncategorized / Adam Lambert Pokes Fun at His Biggest Target – Himself!! Adam Lambert started out the day Friday morning (Pacific time) with what he probably thought was a semi-profound thought. For a time when we are all striving to be more PC and sensitive to gender pronouns, isnt it funny how many young YouTubers refer to their viewers as “You Guys” ? Then the universe answered and he took it as he always does – in stride. Thanks for the laughs Adam and Jane (@2wofux)! Now, I’m just waiting for his correction from unconscious to subconscious, LOL! Can he possibly become more adorable?????? Probably! There’s no end to his many skills!